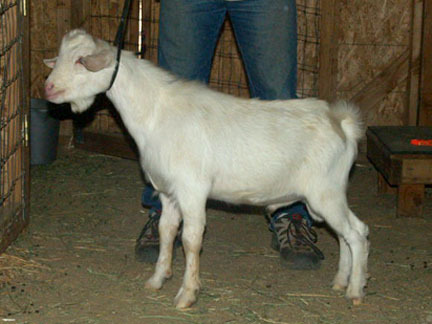 Beamer is long and level with nice angulation. 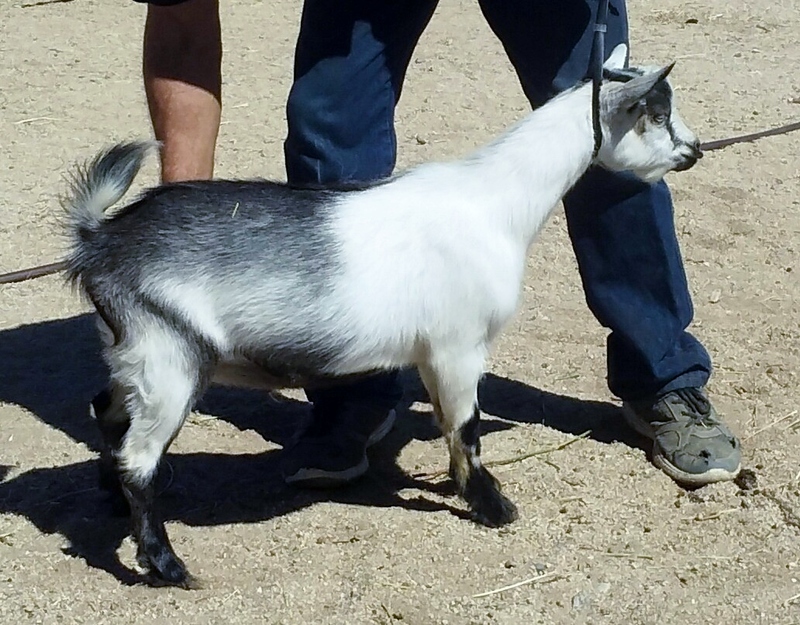 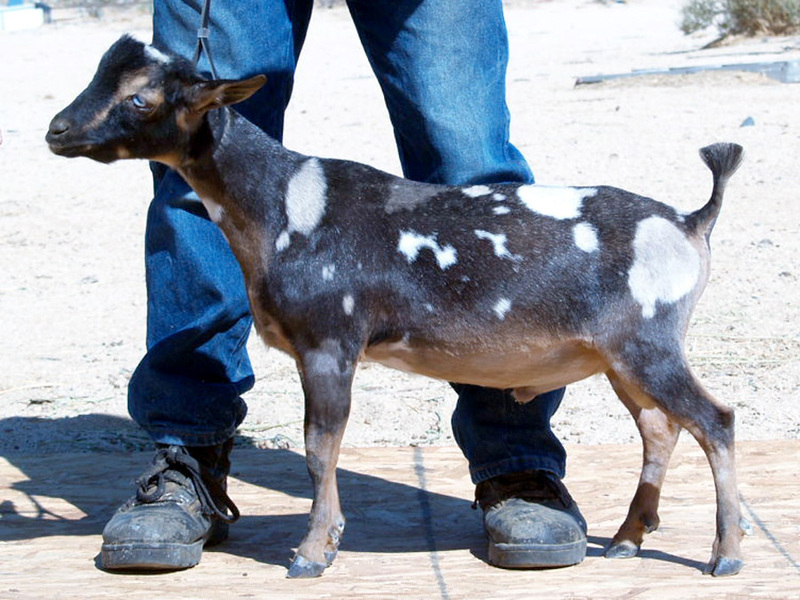 With the fantastic bloodlines he comes from we are expecting a buck that will help produce everything we could want in a dairy goat. 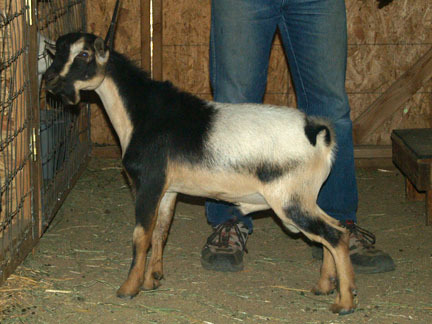 Thank you so much Dana for letting us add this beautiful boy to our herd. 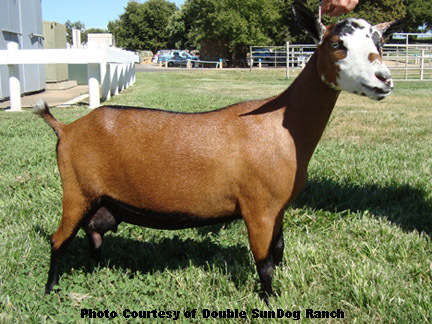 Beamer's paternal grandam, Rosasharn P Haiku 5*D, was the 2010 ADGA National Grand Champion and best udder Sr. Doe, she's also achieved ADGA 2010 Top Ten Butterfat and Protein. 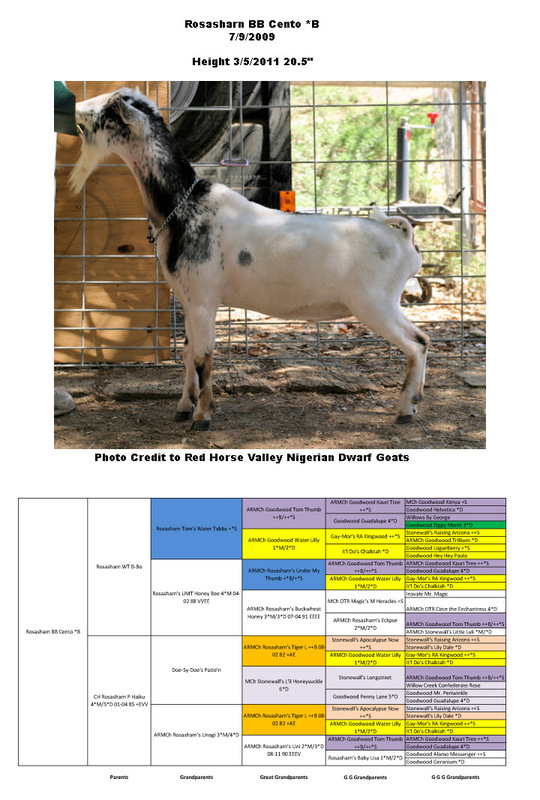 Beamer's dam is a champion and appraised at VEVE 90 in 2011. 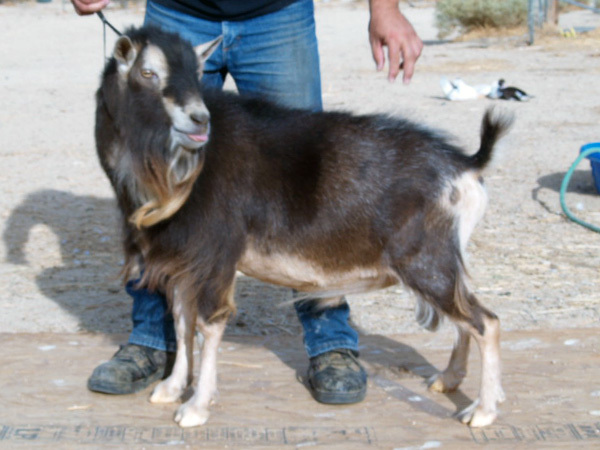 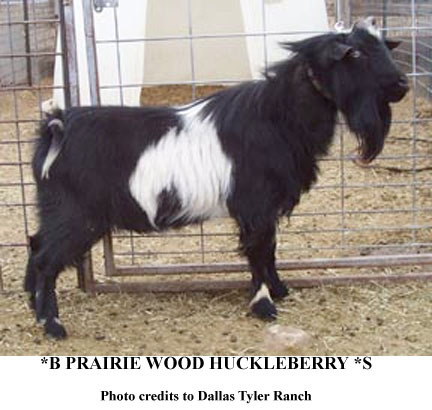 His maternal granddam is a finished champion and appraised at EEVE 90 in 2010 and 2011. 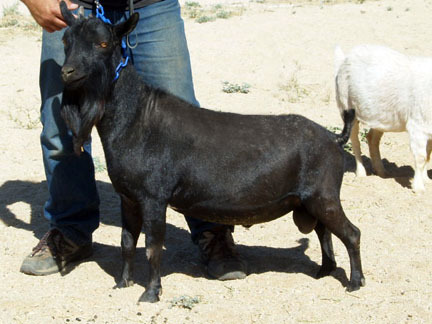 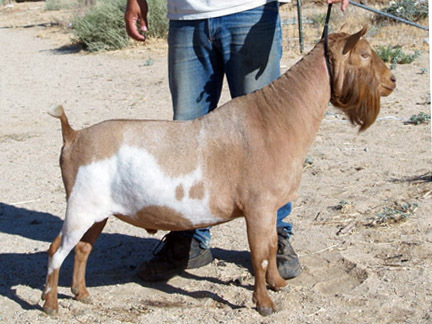 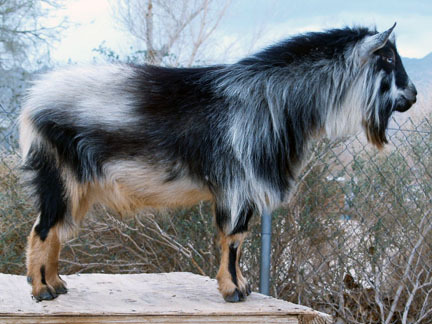 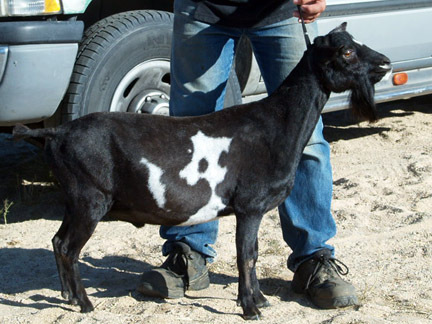 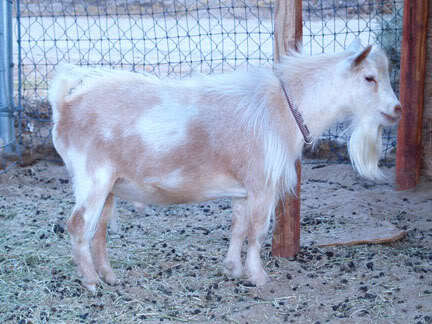 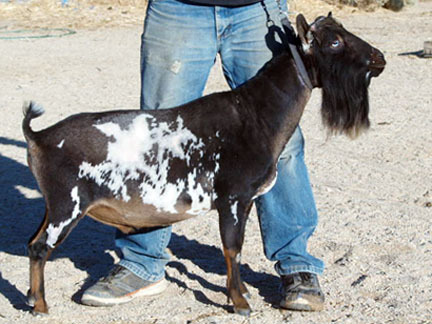 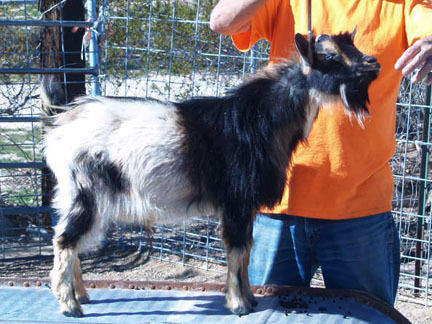 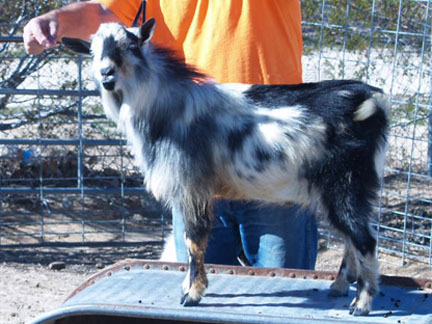 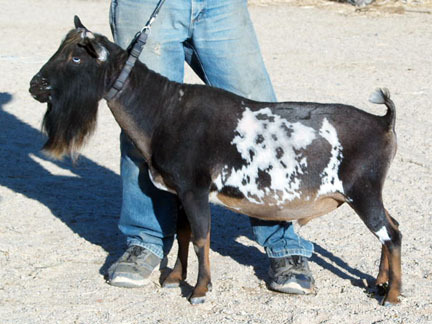 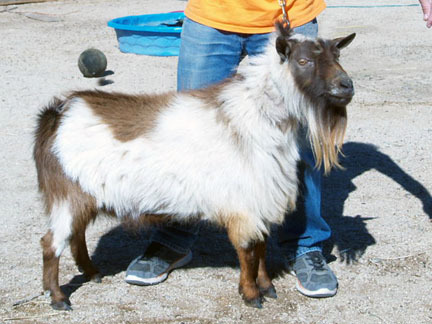 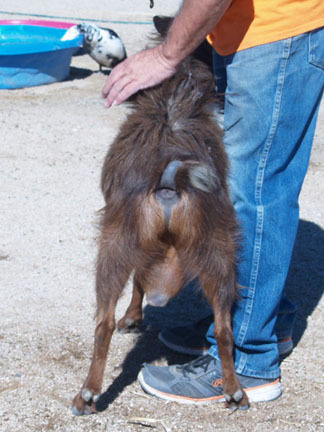 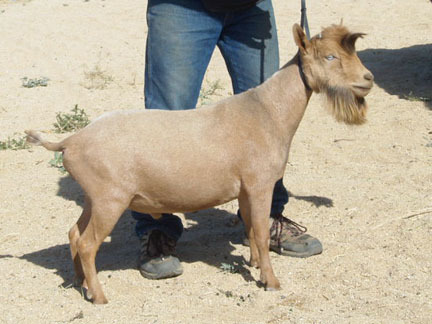 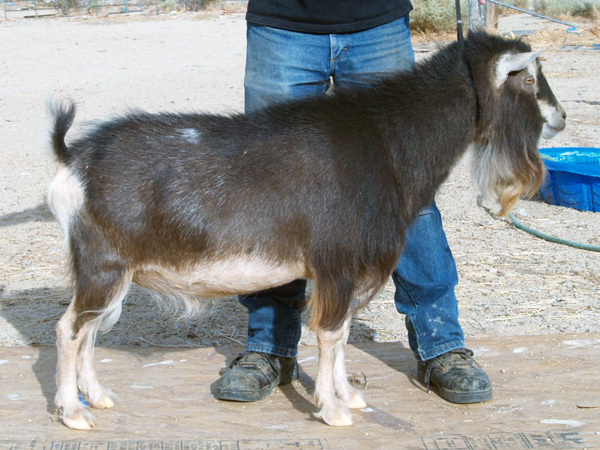 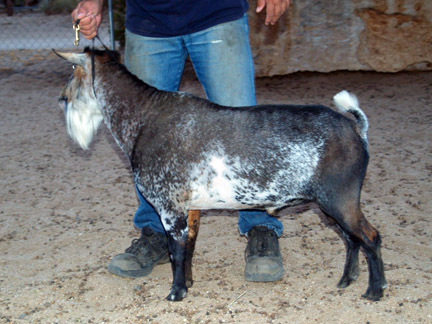 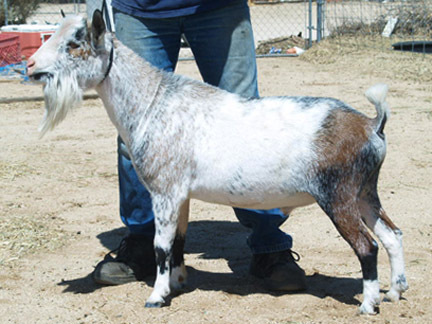 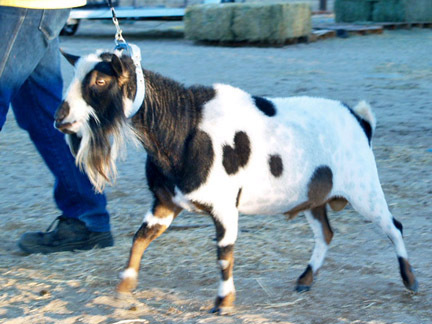 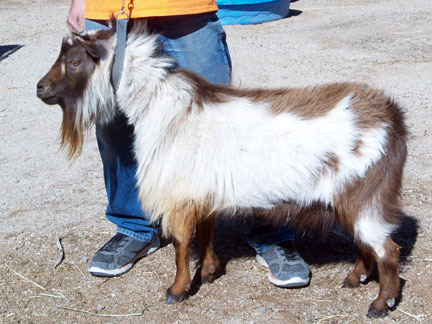 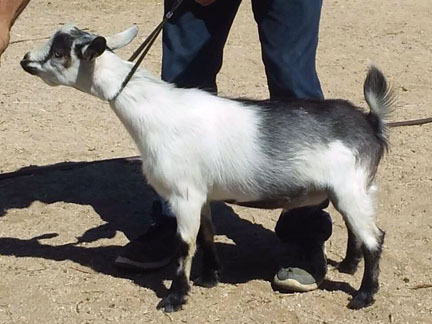 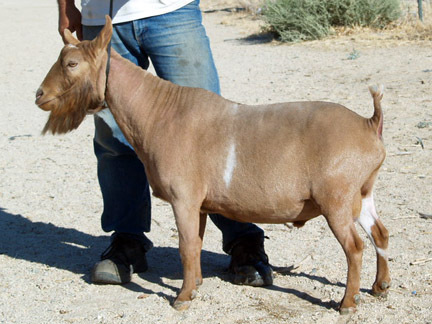 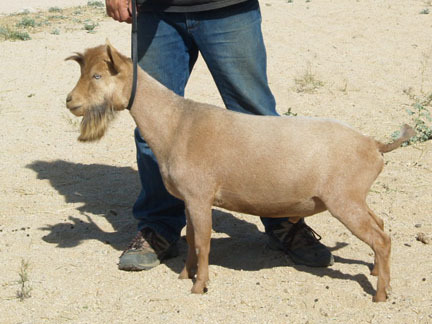 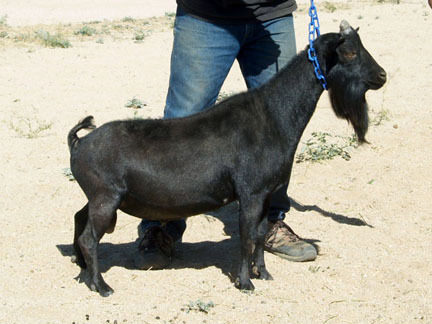 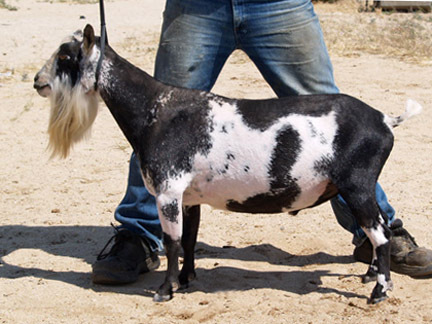 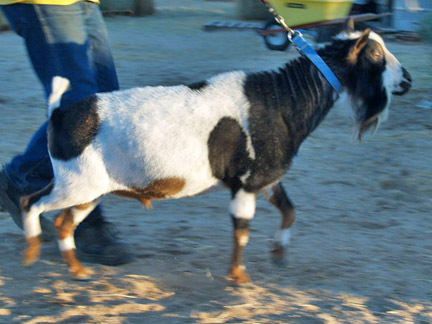 Sal has some pretty impressive goats in his pedigree. 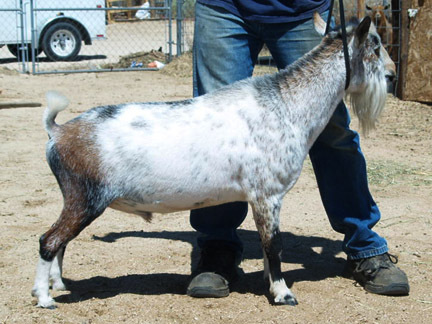 His sire, Cauldron is a Tiger L son, and coincidentally is linebred on Tiger L. Cauldron's littermate sister Rosasharn TL Bewitched is also an ARMCH doe. 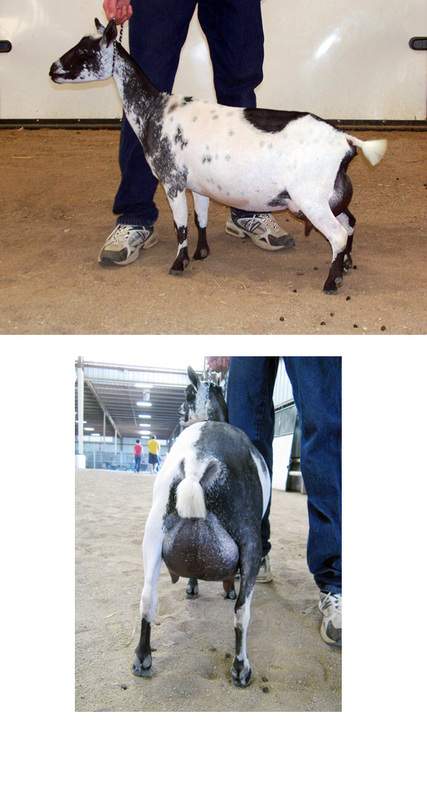 Cauldron's dam, Witch Hazel, was named Best Udder at the 2005 AGS National Show. 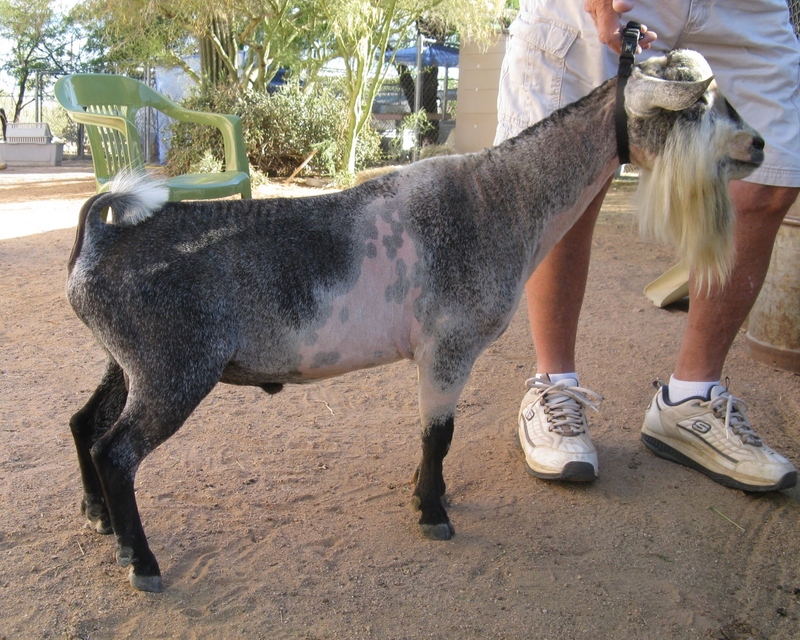 Cauldron's paternal grand dam, Water Lily, was the 2000 National Champion, and a Top Ten producer for 2000, 2001, and 2003. 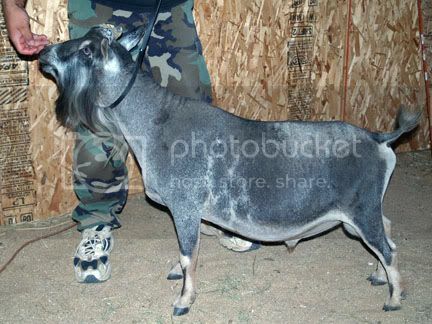 Sal's dam, ARMCH NC PromisedLand Sunni-Beau-No 3*D, is a daughter of ARMCH PromisedLand GoodDay SunShine *M 2*D E91. 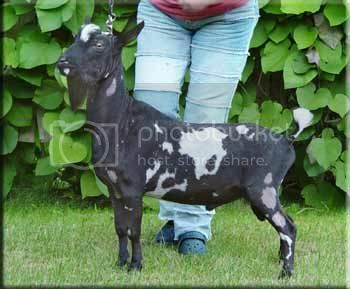 She has full sister, 1 maternal half sister, and 2 paternal half sisters who have earned GCH titles. 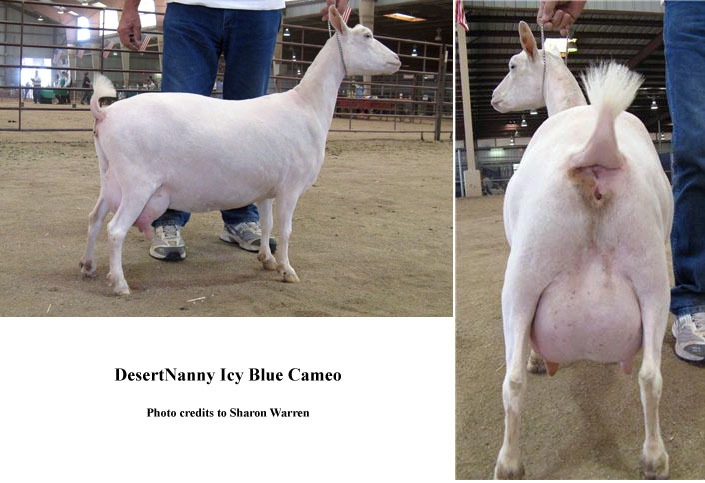 Consistent champion genetics here! 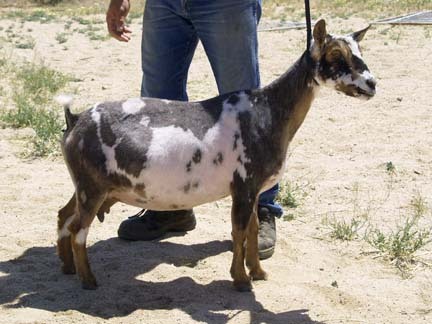 She goes back to Caesar's Villa and Willows lines which we so admire here! 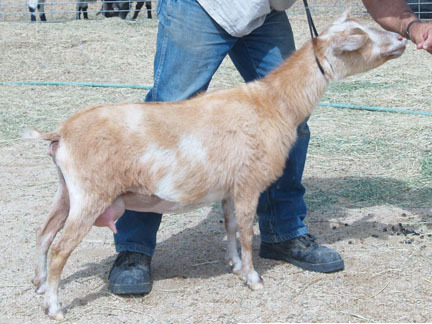 She milked 827 lbs as a 2 year old in 250 days. 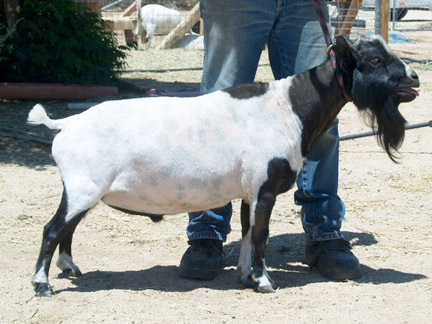 With all these wonderful genetics, Salvatore should produce fantastic milkers and mammaries, oh and don't forget general appearance and possible moonspots! 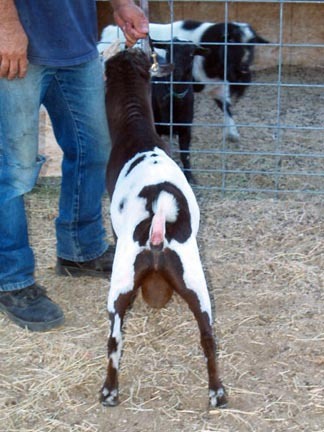 He is producing moonspots on over 50% of his offspring. 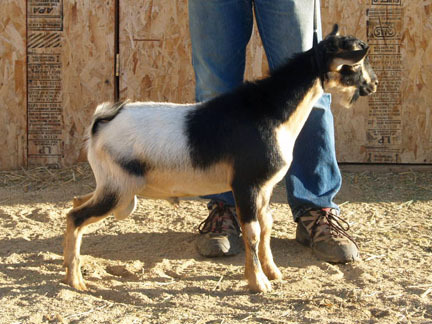 Almond Roca is very long and level with nice rear leg angulation. 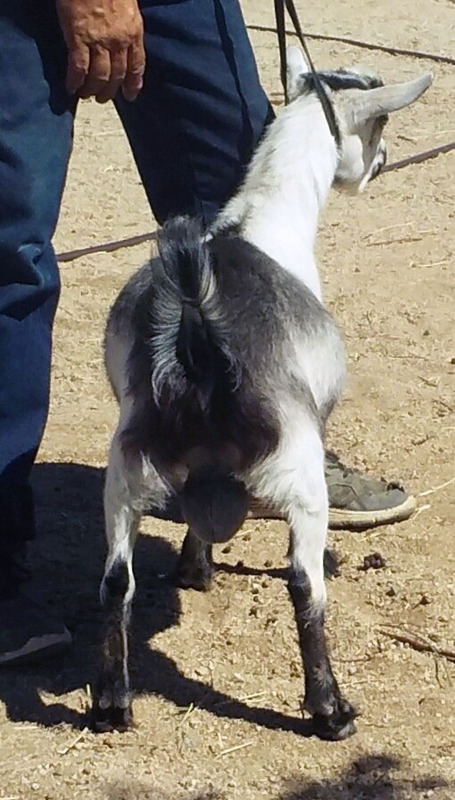 We're hoping he will add dairy character and beautiful capacious udders with lots of attachment. 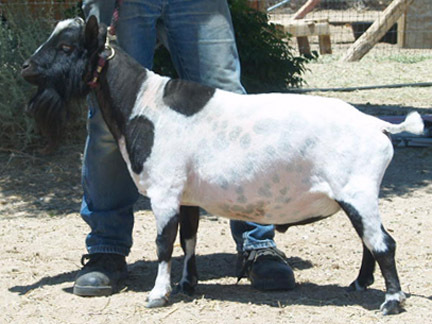 Cyclone is the dairy animal everyone dreams about. 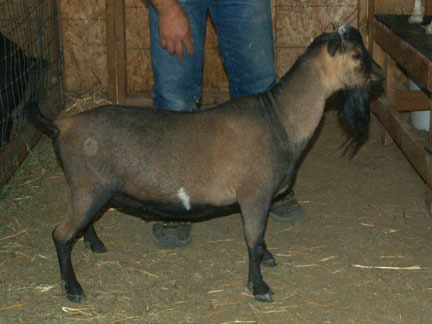 He has that fantastic uphill stance with a fantastic front end assembly and smooth blending throughout. 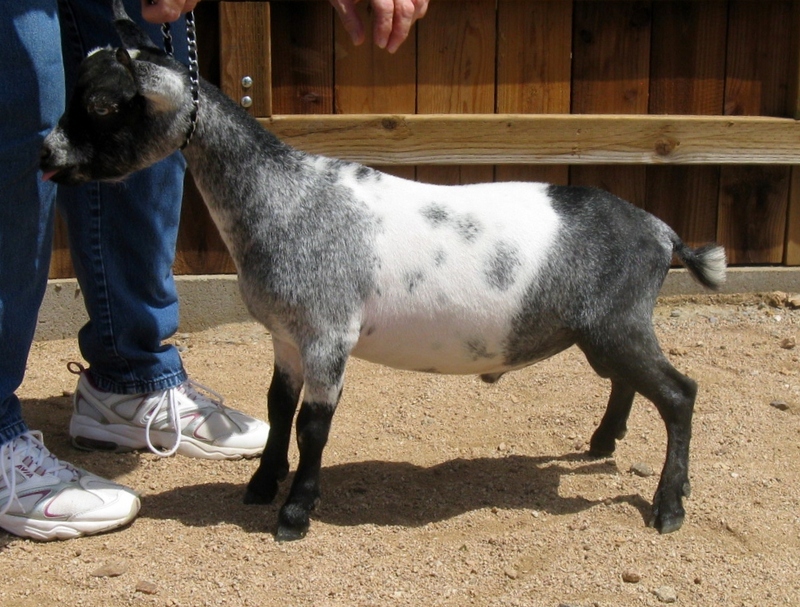 He comes from a dam who excels in milk production and will hopefully pass that on to his daughters. 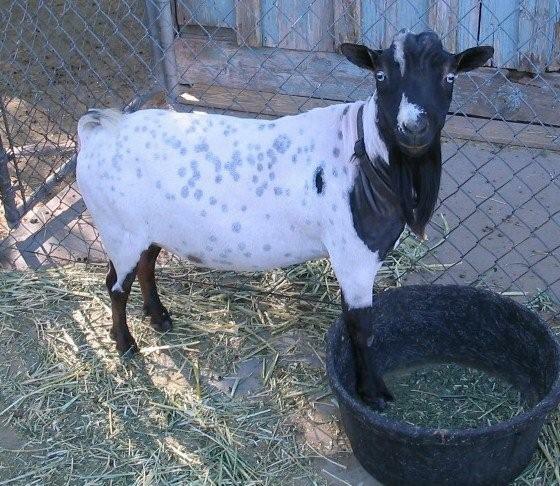 Willie is about as dairy as they come. 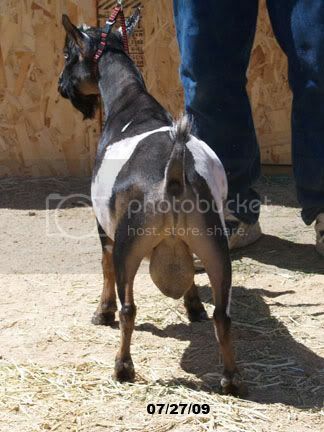 He has that nice fine loose skin, beautiful legs, lots of space between the ribs and a fantasic disposition to pass on to his offspring. 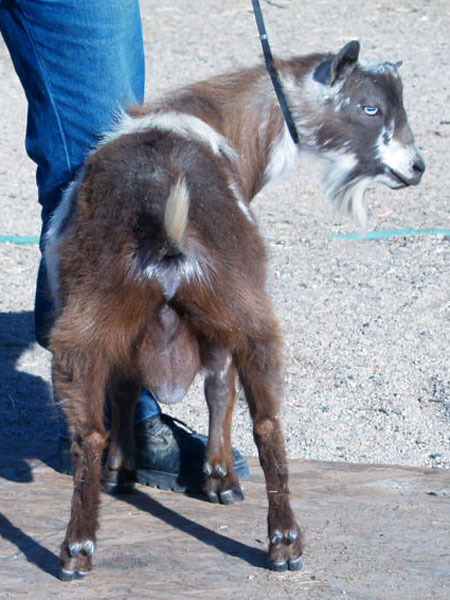 His dam and both granddams have gorgeous udders. 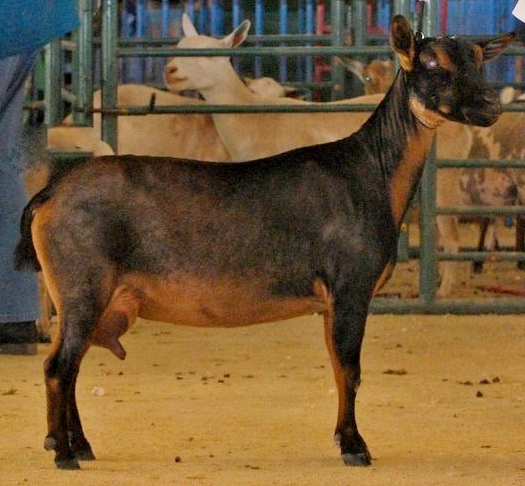 Syd's sire, Hunka Honey, is a full brother to two finished champion does. 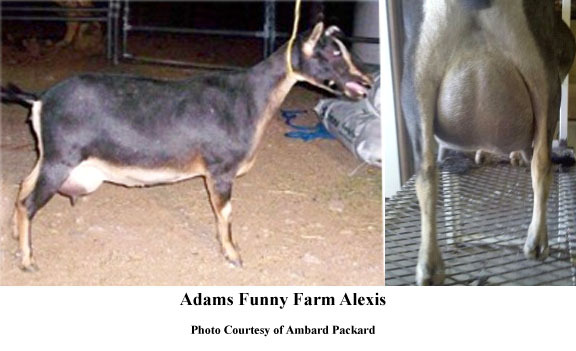 One of these is GCH/MCH Algedi Farm DJ Honey Dew 1*M, who appraised at EEEE 91 on Linear Appraisal in 2010. 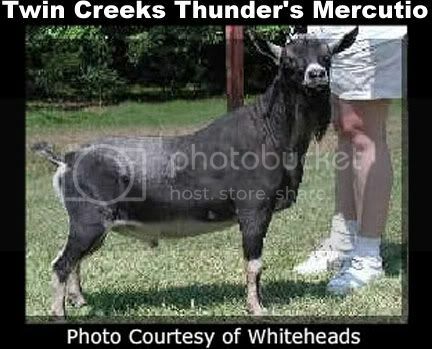 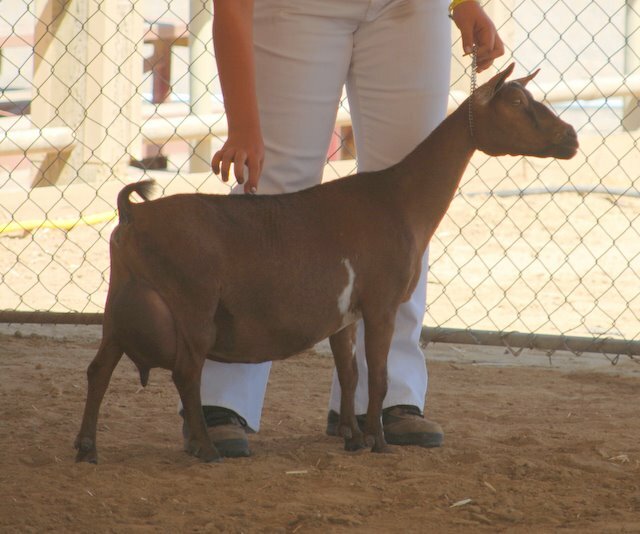 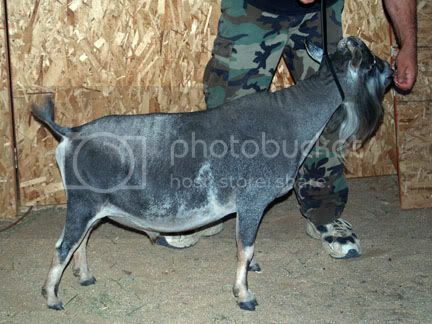 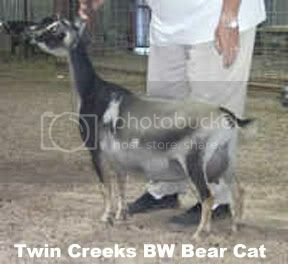 She also has four ADGA Best Doe In Shows, and eight GCHs. 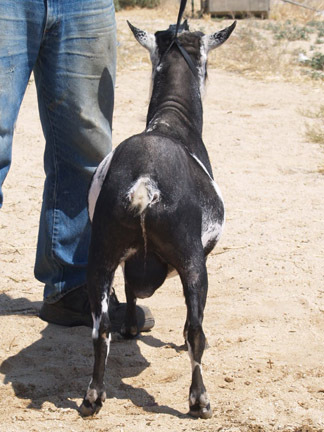 This year is the first year she's been shown as a milker. 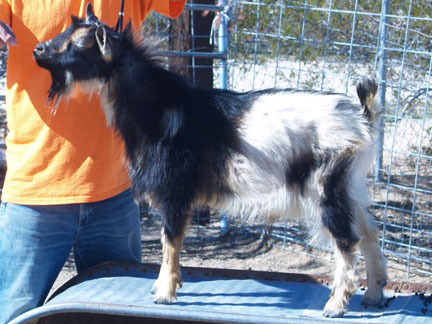 She is four years old, and has freshened twice. 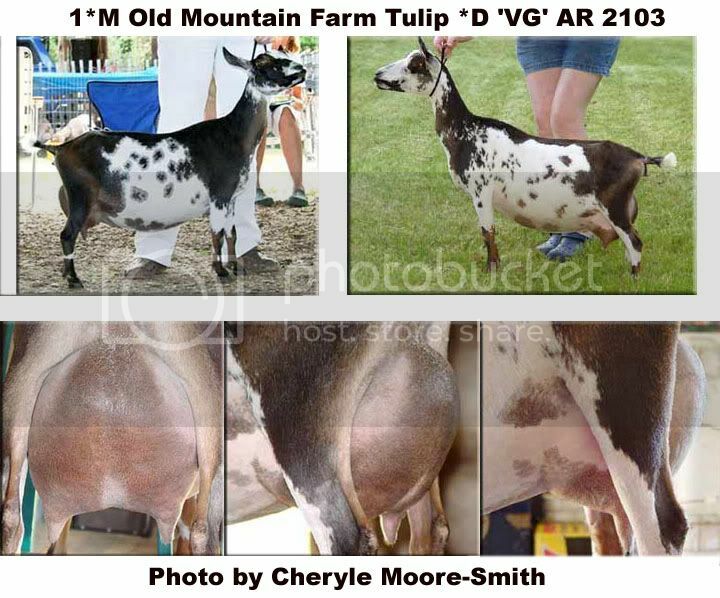 Her littermate sister is a doe named CH Algedi Farm DJ Splash O'Honey, who appraised at VVEE 89 in 2010, and got an E in udder texture. 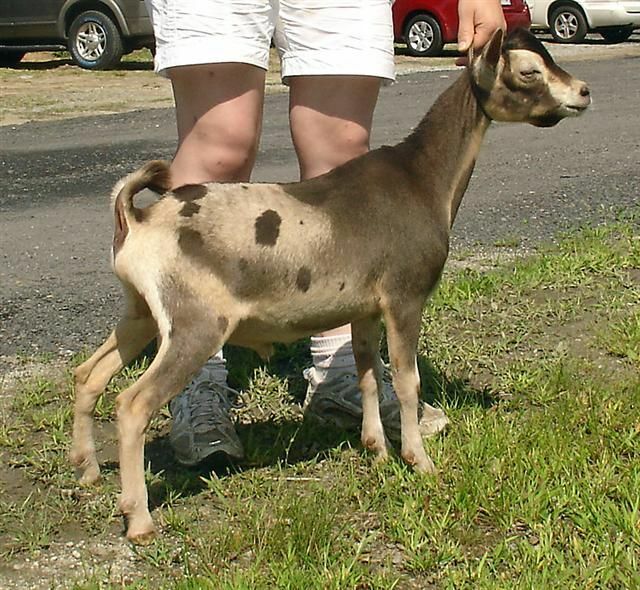 Their dam, CH Rosasharn's UMT Tupelo Honey 4*D now has three ADGA BDIS under her belt as a seven year old, and appraised at EEEE 91 in 2010. 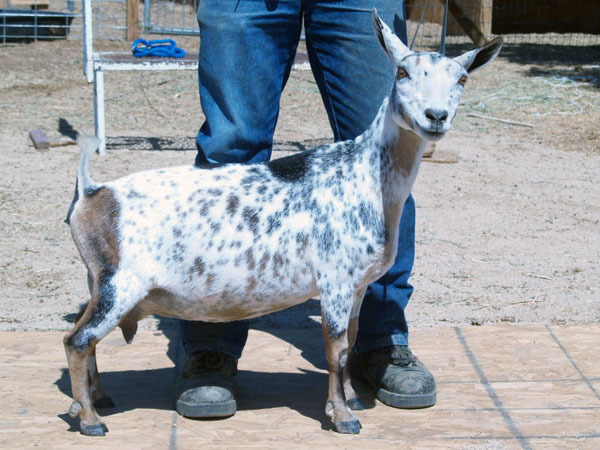 Tupelo is a daughter of the Reserve ADGA National Champion in 2010, ARMCH Rosasharn's Buckwheat Honey 3*D EEEE 91. 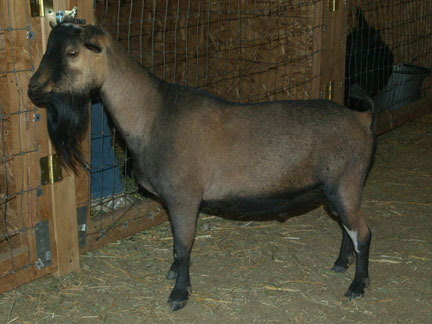 Syd's granddam, Zenith, appraised at EEVE 90 in 2010. 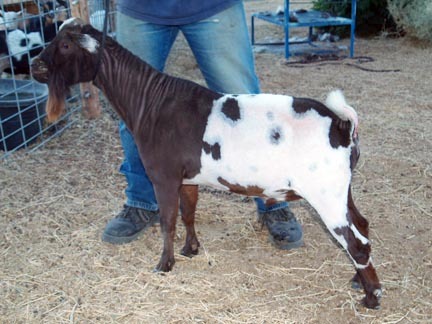 Syd's dam, Algedia Farm D Maia has her dry ADGA leg, and one milking leg, so she only needs one more ADGA win to be a finished champion. 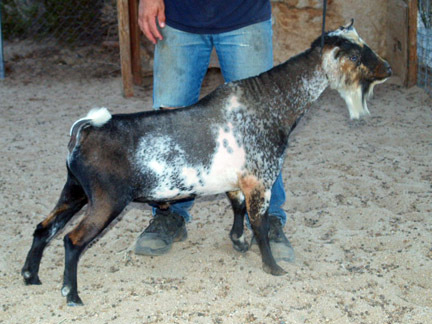 Her litermate sister is CH Algedi Farm D Capella who easily finished as a first freshener, and appraised at VEEE 89 as a first freshener. 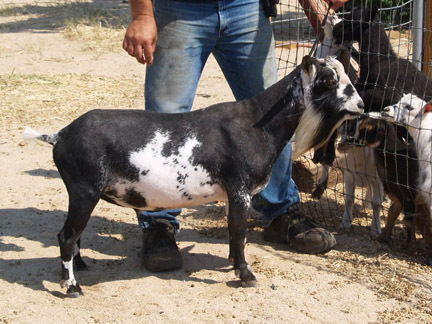 Bazooka is black and white with gorgeous blue eyes and is very dairy. 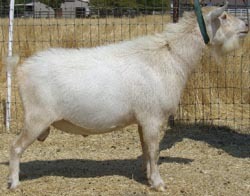 He should pass on milk production and longevity, good-sized teats and well attached udders, with butter soft texture. 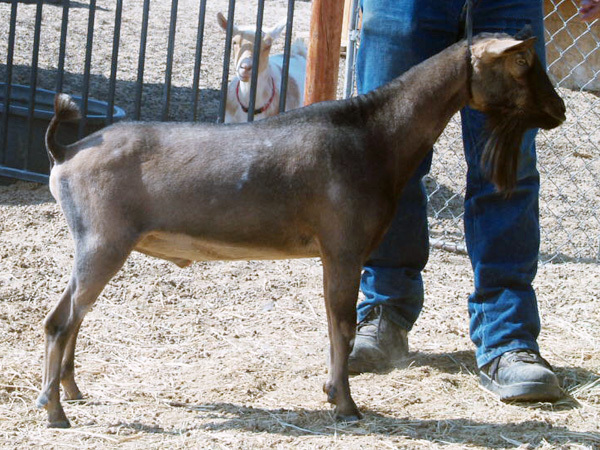 Jentry oozes dairy character and has a gorgeous long neck and long body with nice straight legs in the front and beautiful angulation and width in the rear. 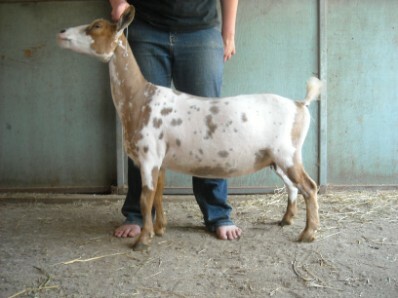 Thank you Patrick Collins of Irish Rose Acres for letting us add Jentry to our herd. 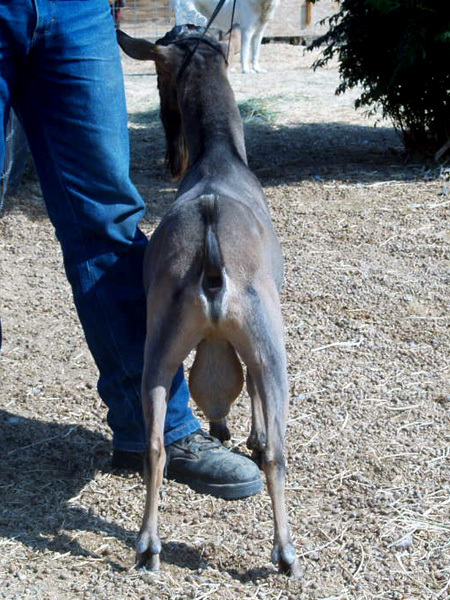 Triumph is long and level with nice angulation. 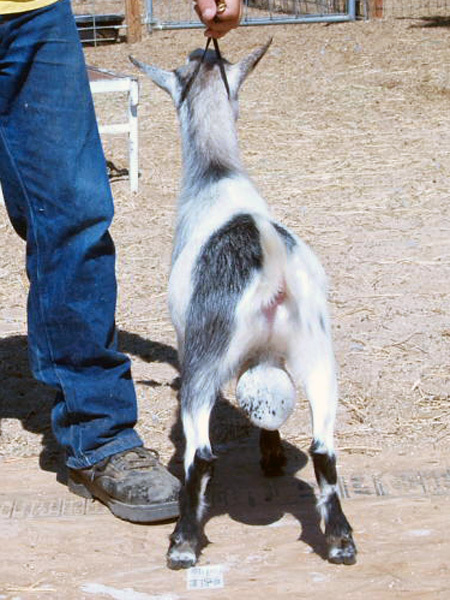 He should throw dairy character and beautiful capacious udders with lots of attachment. 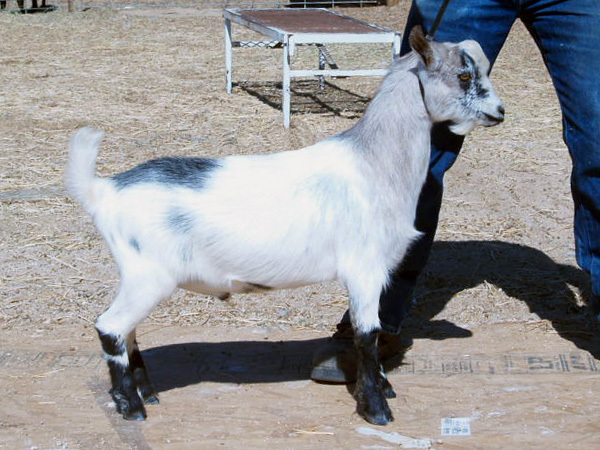 Thank you so much Cheryle for letting add this beautiful boy to our herd. 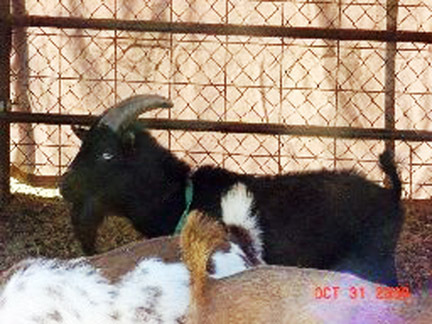 Frankie is black and white and has blue eyes. 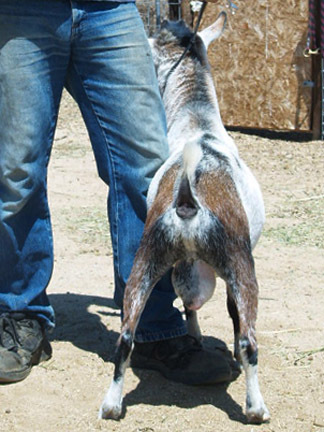 He has that nice uphill stance that is so desirable. 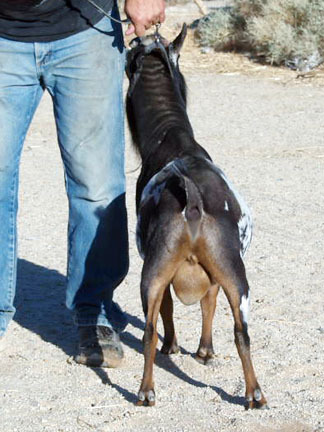 He has a nice long body even though you can't tell it in these pictures since he is a little on the portly side. 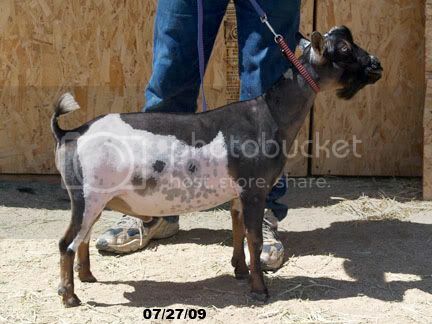 We're hoping Image will pass the great udder genetics Flat Rocks is known for. 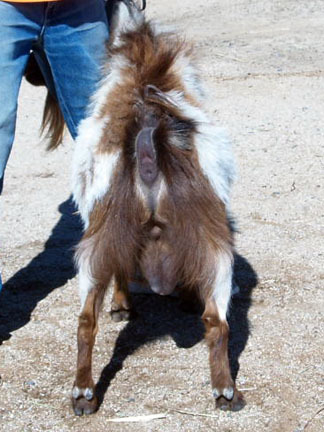 He is nice and wide in the rear with good angulation to his legs. 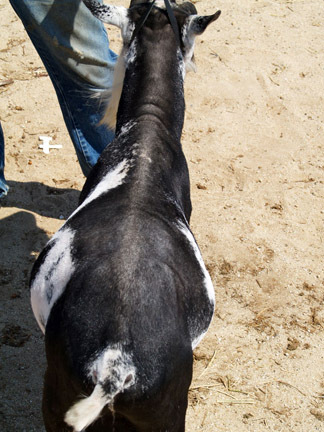 Civil War is long and level with beautiful angulation to his rear legs. 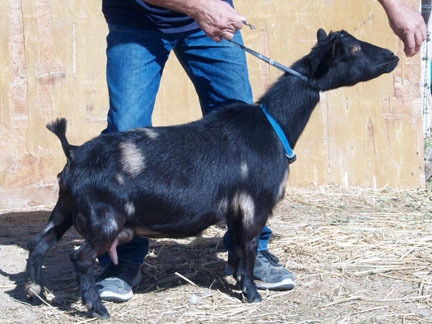 We're hoping he will throw dairy character and beautiful capacious udders with lots of attachment. 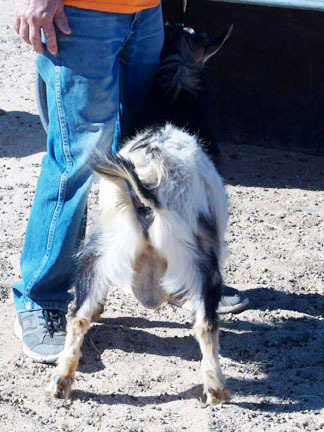 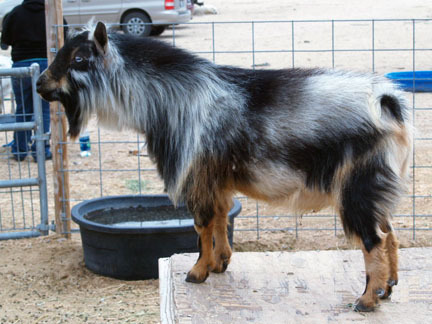 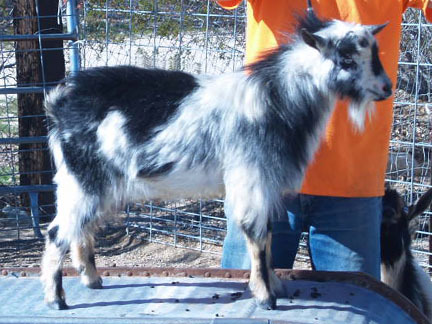 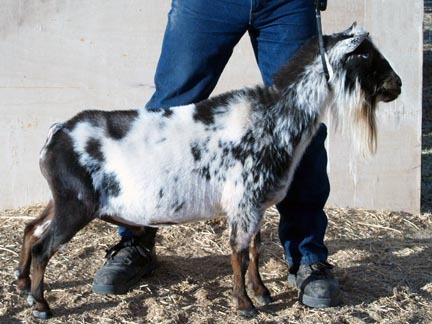 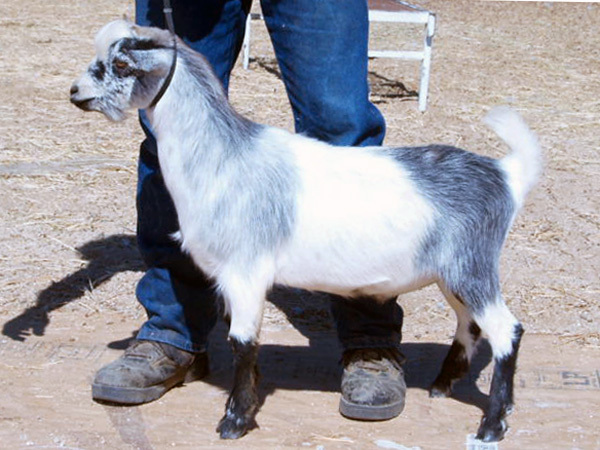 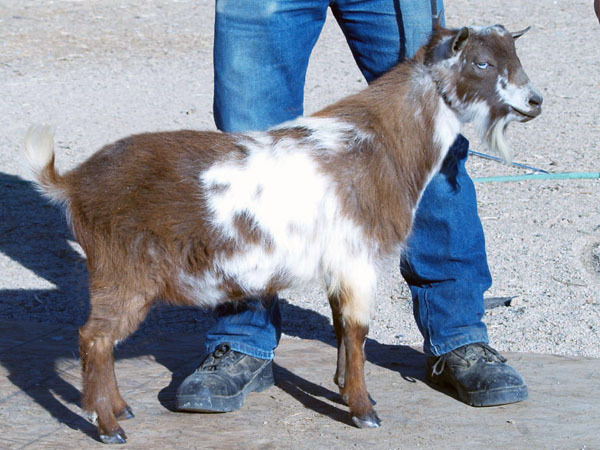 In order to be fertile, goats need to have a good mineral balance in their systems, with the two most important minerals for fertility being copper and selemium. 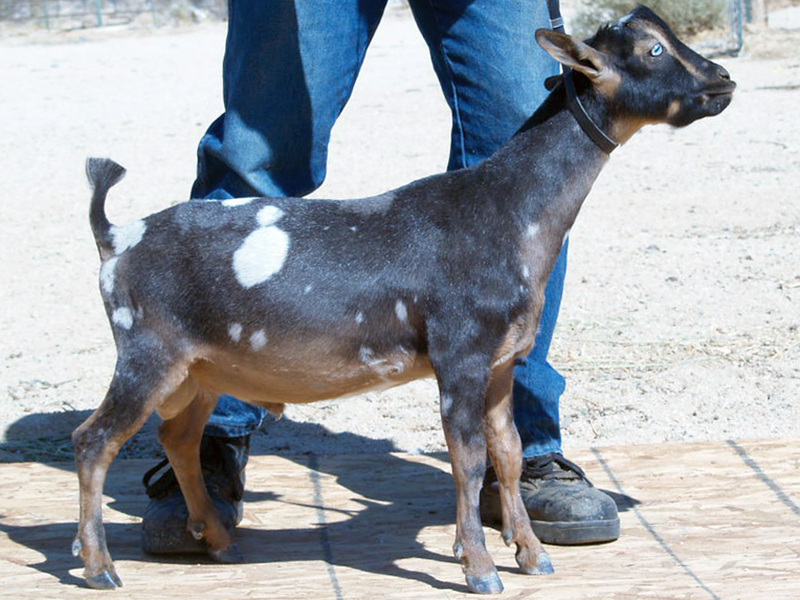 If your doe has a rough terrier-type texture of her coat, the liklihood of her settling is much lower, as this is a sign of mineral (usually copper) deficiency. 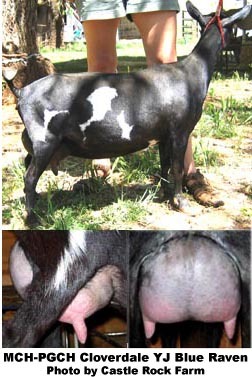 Weak heats are also a sign of mineral deficiency. 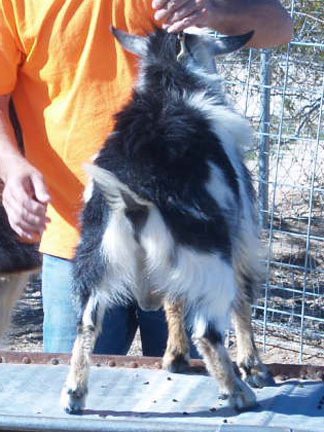 If the mineral balance gets better, heat signs are usually stronger. 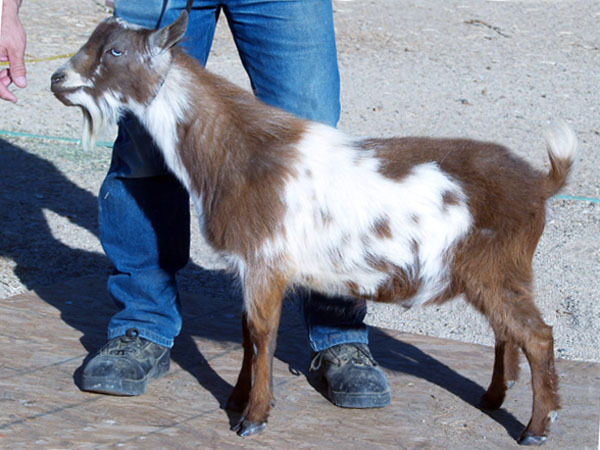 Another sign of copper deficiency is a lighter color coat, ie. 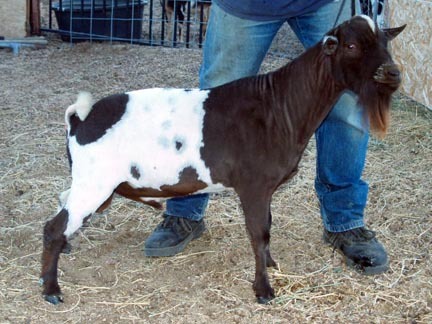 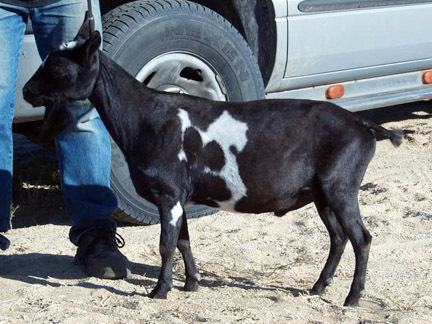 black goat turning brown or a gold goat turning white. 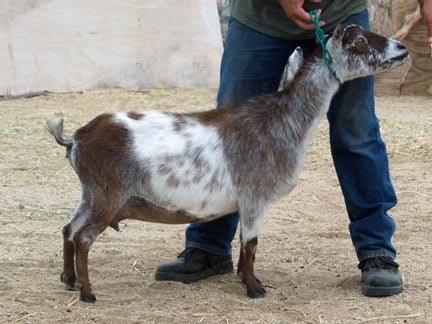 We use free choice Sweetlix Goat Minerals, a sheep and goat mineral will not work as there is no copper in it. 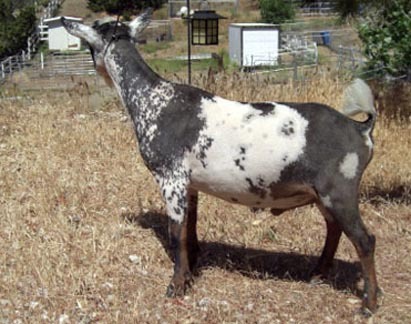 We also copper boluse and Bo-Se (a selenium/vitamin E shot) a couple times a year.